China and the UN Human Rights Council: really Win-Win? It all sounds so nice: “universality,” “constructive dialogue,” “win-win cooperation.” China’s unexpected resolution on “Promoting the International Human Rights Cause through Win-Win Cooperation,” being presented this week at the United Nations Human Rights Council in Geneva, is chock full of such phrases. China’s government wants the world to believe it is a model citizen when it comes to human rights, but its draft resolution actually betrays the opposite intent, says John Fisher, Geneva Advocacy Director of Human Rights Watch on 5 March 2018. Focusing only on intergovernmental dialogue and cooperation, rather than actual human rights violations or accountability for those, is obviously a “win” for China, but it’s not clear who the other winner is. Writes John Fisher. Certainly not victims. A true example of “win-win” might be releasing those wrongly detained, respecting the right of ethnic Uyghurs and Tibetans. Releasing Tibetan language rights advocate Tashi Wangchuk and Uyghur economist Ilham Tohti would be a true double-win. …..China’s draft resolution fails to even acknowledge the Human Rights Council’s mandate to “address situations of violations of human rights, including gross and systematic violations,” and does not spell out any consequences when countries refuse to cooperate. As written, China’s resolution is a win only for itself, and, if adopted, a serious loss for any country serious about human rights inside China and around the world. The UN High Commissioner for Human Rights stated on Wednesday 7 March that China’s actions on human rights did not match its words and the level of respect for basic liberties remained low in the country. Zeid Ra’ad Al Hussein did so in his annual report on human rights in the world to the UN Human Rights Council, “President Xi Jinping has called for ‘people-centred development for win-win outcomes as part of a community of shared future for mankind’, a commendable ambition. Sadly, China’s global ambitions on human rights are seemingly not mirrored by its record at home,” he said. “My office continues to receive urgent appeals regarding arbitrary detentions, enforced disappearances, ill-treatment and discrimination, emanating from human rights defenders, lawyers, legislators, booksellers, and members of communities such as Tibetans and Uyghurs,” he added. Hussein said many of the cases involved people fighting against economic, social and cultural injustices such as corruption, illegal seizure of land and forced evictions or destruction of cultural sites. In a private letter sent to select UN Member States, the NGOs called for clear and concrete actions to denounce China’s current rollback in respect for human rights at the UN Human Rights Council. Yu Wensheng, a prominent human rights lawyer disbarred, then arbitrarily detained, in January 2018. ….This year is particularly important, as human rights defenders inside and outside China prepare for the country’s next Universal Periodic Review, scheduled for November 2018. The letter to governments concludes: ‘For human rights defenders to have the courage to engage in this important process, with all the risks that it entails, it’s critical that they know that they are not alone’. On 12 January 2017, Human Rights Watch (HRW) released its World Report on global human rights violations in 2016 and on the dangers the world will be facing in 2017. HRW shines its spotlight on the global rise of authoritarian populism and the concomitant toughening and broadening of anti-terrorism legislation around the world, which endangered throughout 2016 – and must be expected to keep challenging in 2017 – the very foundations of human rights law and the personal dignity inherent in every human being just as much as the despicable extremist attacks, to which they are a direct reaction. KIOS is perhaps not the best-known human rights foundation in the world but that is surely mostly due to the fact that it operates from a small base: Finland. KIOS was founded by 11 Finnish human rights and development NGOs. The representatives of the founding NGOs form the Board of KIOS. In Finland, KIOS raises awareness on the significance of human rights and the work of human rights defenders in developing countries. It also advocates for the development of good practices in Finnish foreign and development policy in support ofHRDs. KIOS focuses its external support on 3 countries in East Africa (Kenya, Rwanda and Uganda) and 3 in South Asia (Nepal, Sri Lanka and to Tibetan civil society organizations in exile). Some long-term partner organizations of KIOS are also supported in Bangladesh, Burundi, Ethiopia and Pakistan. Ulla Anttila is the Executive Director. 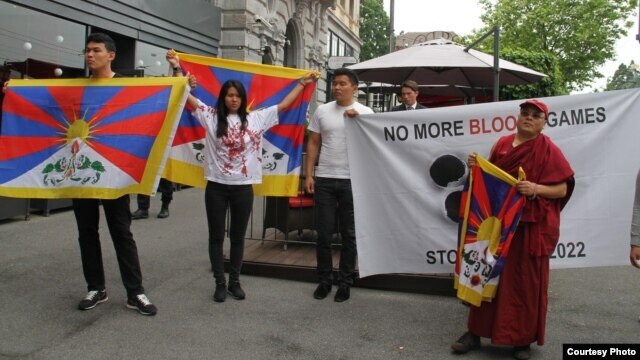 The Tibetan Youth Association of Europe (TYAE) organized a demonstration outside the IOC hotel in Lausanne, Switzerland on 10 June, 2015. Some of the protesters outside the hotel acted a scene of Chinese human rights violations inside Tibet, while a few others managed to get inside the hotel and chant slogans such as “Free Tibet” and “No More Bloody Games”, just as the Chinese officials were making their case for Olympic bid in front of the International Olympic Committee members. On Thursday, China’s foreign ministry condemned Wednesday’s protest in Switzerland calling it, provocative:”Their behavior will not shake the resolve of the Chinese government and people to apply to hold the Winter Olympics in Beijing“. via Tibetan Protesters in Switzerland Disrupt Beijing’s Bid to 2022 Winter Olympic. 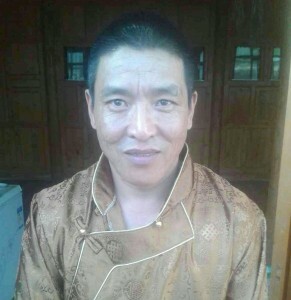 Gyaljong Tsetrin, his cousin and co-producer of “Leaving Fear Behind”, said after talking him to: “Though Dhondup is still under the control of the Chinese authorities I am very relieved that he finally could leave prison and has now the possibility to consult a doctor.” The self-taught cameraman and video-activist travelled across Tibet with his assistant Golog Jigme in 2007/2008. His film “Leaving Fear Behind” (28 min.) has been translated into a dozen languages and has been screened in more than 30 countries worldwide. Golog Jigme recently just arrived in India after a spectacular escape from Tibet. Dhondup Wangchen has been given awards by various NGOs, such as Committee to Protect Journalists, for his courageous work making the documentary “Leaving Fear Behind” and his case was the focal point of many campaigns of international human rights groups such as Amnesty International and Reporters without Borders. Government representatives around the world have brought up his case in their talks with their Chinese counterparts. Tibetan Filmmaker Dhondup Wangchen Released from Prison. Most of you (but fortunately not all) seem to have understood that my previous post “Gadaffi Human Rights Award resurrected: Mugabe rumored to be Laureate” was not without good reason announced for April 1st. Theo van Boven, Dutch professor emeritus in international law, former Director of Human Rights in the UN and a Patron of the MEA. Bernard Kouchner, co-founder of the international humanitarian organisation Médecins Sans Frontières (MSF) will introduce the Dalai Lama. 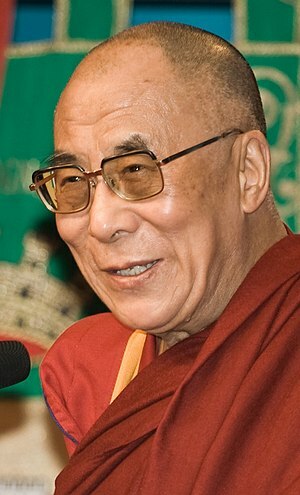 Press contacts: Kate Saunders, email: press@savetibet.org, tel: +447947138612, www.savetibet.org.